I was asked by the lovely Nicky and Tracey at the Hummingbirds Bistro if I would make a 21st birthday card for Tracey's son Rob. 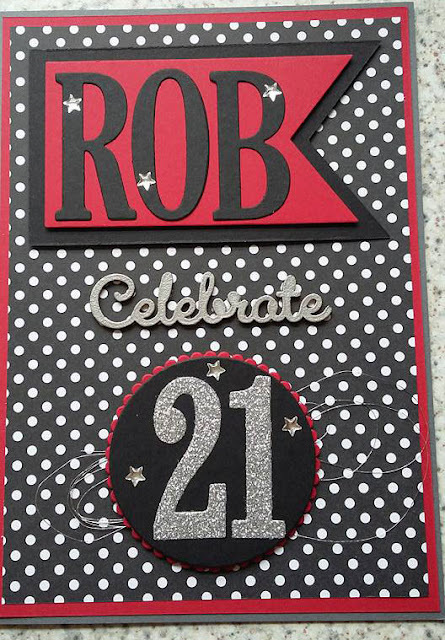 It was Rob's birthday on Thursday, and this was what I came up with. I went for some bright colours in the red and contrasting black, with a hint of silver with the numbers and little enamel stars. I used silver embossing powder on the (new retired) wooden word 'celebrate'. Close up of the silver detail. 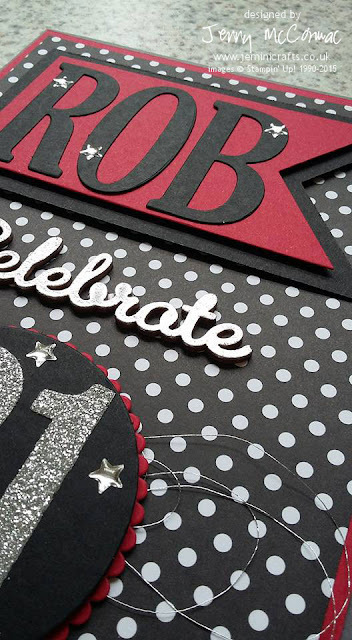 All the letters and numbers were cut out from card using the new Large Numbers and the Large Letters Framelits together with the Sizzix Big Shot die cutting machine.